This year’s Hugo Awards controversy is confusing. There are two kinds of puppies! Are the puppies against diversity, or literary snobbery? And so on. But really, this is all about books, and particularly what kind of books we’re supposed to celebrate. So here are eight books that can help you understand the Hugo mess. But all the discussions about the Puppies, pro and con, tend to bog down in generalizations. So let’s get specific. Here are eight books that can help illuminate this mess. Because this is about books, or it’s about nothing at all. What it’s about: An endless star-spanning war, in which time dilation means that a single soldier lives through other people’s lifetimes. Homosexuality becomes the norm on Earth, and William Mandella has a hard time adjusting to a world where he’s the “old queer.” And meanwhile, it turns out the war was caused by a misunderstanding. What people have said about it: “This is an enraged and enraging classic that deserves a place alongside Apocalypse Now and The Deer Hunter as an expression of the pain caused by Vietnam.” — The Guardian. What it’s about: One of the most famous science fiction novels of all time, Crichton’s book about de-extincting dinosaurs to put them into a theme park was turned into an iconic movie by Steven Spielberg. What other people have said: “Since the publication of The Andromeda Strain in 1969 until today, as The Lost World sets new box office records, Crichton has been, in a commercial sense, the most consistently successful SF writer of the late 20th c. In large part this is because he has not been labelled as an SF writer, and thus worthy of adult attention.” — Thomas M. Disch, The Dreams Our Stuff is Made Of. “ There are a number of writers of SF — I’ll briefly consider “speculative fiction” in general before turning to science fiction specifically — who have never written genre fiction. That is, at least as far as the publishers and bookstores are concerned... writers like Stephen King and Michael Crichton have never been marketed as genre writers.” — Mike Brotherton. “[Crichton has] gone to sometimes frantic lengths in order not to let [his] books be labeled science fiction.” — David Brin, writing in 2005. What it’s about: The fourth book in Correia’s Monster Hunter Nation series, this book follows his team as they try to recapture an escaped World War II experiment, in Las Vegas. What people have said about it: “A large part of the attraction of these books is the glorious action-movie feel to them. Sometimes you just want to read a book about blowing up the gribbly things with lots of explosions. It’s not exactly the highest or more sophisticated desire, but it still makes them pretty fun reads.” — Fangs for the Fantasy. What it’s about: The third book in the Feed/Deadline/Blackout trilogy, this book once again follows a group of heroic bloggers who are exposing the truth in the wake of a zombie apocalypse, in the face of a media blackout. This time around, the CDC is doing sinister experiments. Awards won: None. But this book did receive a Hugo nomination, and was part of a then-unprecedented sweep in which Grant (or her alter ego, Seanan McGuire) received five Hugo nominations. What other people said about it: “[A]nother thoughtful high-energy tale of life and politics among the dead and not-so-dead... Zombie attacks, family members in physical and emotional jeopardy, and vast government conspiracies all contribute to a heady tale that reaches a satisfying conclusion.” — Publishers Weekly. “I see that Seanan McGuire is getting a fair ration of crap from various quarters because she’s on the ballot a remarkable and record-setting five times, including in the Best Novel category, and twice in Novelette. What I’m seeing heavily implies that McGuire’s on the list because she has an apparently mystical ability to drive hordes of fans to nominate her for everything no matter what. Hey, I have an alternate theory, which goes a little something like this: Seanan McGuire is a very talented writer! Who writes things that people like! 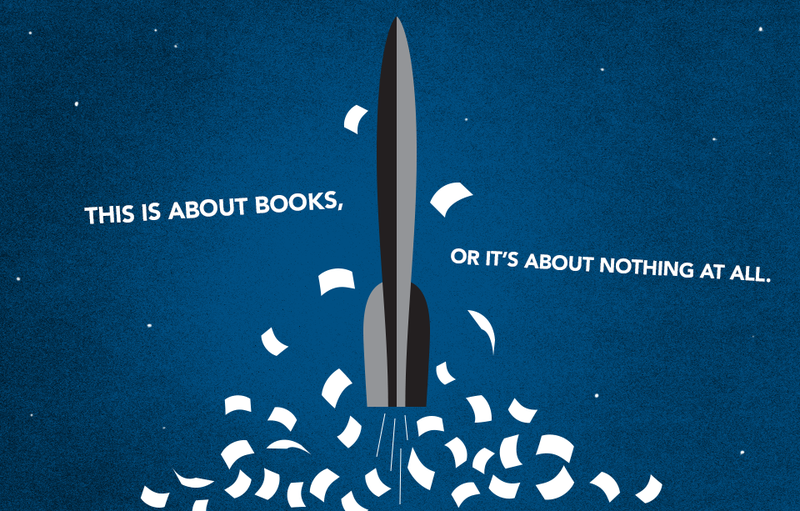 Including the people who nominate for the Hugos! Seems the simpler explanation, all things considered.” — John Scalzi. What the Puppies said about it: “I like Seanan personally. I think she’s pretty cool in person and she’s a solid writer… Was every novel, short, novella, and novelette she wrote one of the best five things in the world this year? Probably not. But she is popular with the [Secret Masters of Fandom], ergo she is nominated. You preach the right kind of message fic, you can get nominated. You get popular with the right crowd, you can get nominated. If you are popular enough with the right crowd the Hugos will even tweak which category you fit in so that their two favorites don’t have to go head to head and both can win Hugos.” — Larry Correia [via]. “To be fair, Seanan got screwed a couple of years ago for best novel [for Feed], and had the most 1st place votes, but still lost once they worked out their weird Hugo vote tabulation magic.” — Larry Correia. What it’s about: This Star Trek spoof examines what it would be like to be one of the disposable cannon-fodder crewmembers aboard the U.S.S. Enterprise... especially once you begin to suspect that tropes really are deadly. Awards won: 2013 Hugo Award for Best Novel. What other people said about it: “Anyone who grew up on Star Trek or its descendants can figure out what’s going on in Redshirts. That is, until things get even funkier. Which is to say that this is a John Scalzi novel, and a reader must expect the unexpected, including a surprising emotional punch as the story unfolds, reconfigures and steps outside itself.” — The New York Times. “A light parody of a hoary old Star Trek trope becomes richer and more rewarding as it goes along.” - The A.V. Club (B+). Awards won: Hugo Award, Nebula Award, Arthur C. Clarke Award, BSFA Award for Best First Novel, Locus Award for Best First Novel, etc. What it’s about: This religious story collection contains one story for each Holy Day of Obligation in the Catholic calendar. Most of the stories contain overt religious messages—in one story, a man actually travels back in time and holds the baby Jesus in his arms. In some stories, angels and saints turn up and deliver homilies. But there are also ghosts, time-travelers, posthuman animals, and aliens. What we’ve said about it: We didn’t review this book previously, but I’ve just read it cover to cover. And... it’s a mixed bag. Wright is an engaging writer, with a lively style, and he wears his love of Golden Age science fiction on his sleeve. The first two or three pages of “Queen of the Tyrant Lizards” contain some of the most powerful writing I’ve seen in ages, and a few other parts are quite moving as well. Wright has plenty of terrific ideas, and his portrayal of time travel, and of time as an ocean, is clever and fascinating. But at the same time, Wright has a tendency to drive into the weeds. Some of these stories begin well, but then go flying off the rails in the middle (including “Tyrant Lizards.”) And many of Wright’s stories revolve around a climax that has to be explained to the reader, rather than dramatized—forget “show don’t tell,” Wright is too busy being didactic to tell an actual story. And when he’s not over-explaining his plots, Wright gets lost in political rants, including the ever-present insistence that humanity is headed for a dystopian future in which we are ruled by feminists, Muslims and pornographers. (At one point, the narrator warns of a dark future of nothing but “thin, ugly minarets.”) Also, in one story, a heroic priest watches a man die in horrible agony, and “chuckles” at him. G.K. Chesterton and C.S. Lewis proved that Christian allegory can make for great storytelling, but Wright falls far short. What the Puppies have said about it: “I’m very pleased that science fiction readers so strongly supported the Sad Puppies recommendations. It’s fantastic to see John C. Wright, one of the true grandmasters of science fiction, finally receiving some long-overdue recognition. It’s a real privilege to publish him and we’re delighted to learn that his six Hugo nominations this year set a new record.” — Theodore “Vox Day” Beale, quoted in Breitbart. What it’s about: The moon blows up, and the survivors of Earth go to live in orbit, where seven women are forced to make some hard choices to continue the human race. Awards: None yet, but it’s already being talked about as a likely Hugo contender. What we said about it: “One of the most exciting things about [Seveneves] is that it’s packed with realistic representations of space megastructures where humans live.” - Gizmodo. What other people have said: “A truly epic disaster novel.” — The Guardian. And a final note: As always, with articles on this topic, please refrain from name-calling or personal insults, directed at either side of this debate. Violators will be dismissed and probably blocked. Correction: An earlier version of this article stated that John Scalzi was SFWA president when Theodore Beale was expelled. He had actually stepped down from that position two months earlier. Also, I added a mention that anyone who buys a Worldcon supporting membership can nominate.